The Coming by Andrej Nikolaidis is a rather unique story about a detective, murder, books, history, and emails. Nikolaidis was born and raised in Bosnia/Herzegovina and moved to Ulcinj, the town the story is set in. He is also an outspoken supporter of Montenegrin Independence, human rights, and an anti-war activist. My point is that a detective’s work isn’t so much about finding out the truth as inventing a story which people will accept as the truth. It’s not about discovering truth but discovering what truth is for those people. The detective is called in to help find justice for a family that was brutally murdered. He spends quite a bit of time in traffic. Snow in June and changes in sea levels and email from his son, Emmanuel, are all relayed to the reader. We meet a butcher who works double shifts, seven days a week to support family. We are introduced to the history of the cabalist Zevi, the self proclaimed messiah of the Jewish people and radical Franciscan Fra Dolcino. Zeveti is said to have written three books. The last of these books was to remain hidden until Zevi’s return to earth; its title:The Coming. Here is a story that takes you on a ride in several different directions and just when you think you are permanently and hopeless lost, things converge and leave you a bit breathless after a mental roller coaster ride. The Coming is a short book that takes time to read. It is much bigger than the number of pages would seem to make it. Once again Open Road Media finds a gem of a book that others have missed and releases it to the public. Open Road Media is the local bookshop of the twenty-first century. Surfing through their online collection is reminiscent of finding that “just right book” at the corner bookstore. The Coming shows that same original, non-cookie cutter fiction that makes reading an adventure. Heroin is the godfather of street drugs, or at least that is what I remember from my impressionable years in the 1970s. Cocaine was the rich people’s drug and from news reports it seemed to flow freely out of fountains at Studio 54 (and apparently into Stevie Nicks in great quantities). Speed was all pharmaceuticals. Those were the days before cocaine turned into crack and speed into meth. Then heroin was the king. What rock star didn’t do heroin? Lou Reed sang more than one song about heroin. America was lost in a desert with a horse with no name. Rock stars were glorious but we were constantly reminded on cop dramas about junkies and who would ever want to shoot up when all it would lead to is a good hearted, tough cop handcuffing you to a radiator or bed until you finished withdrawals. It was not a pretty picture, but people who should know better still jumped on that train. When you pick up a book about heroin, you are never sure what you are going to get: Keith Richards the functional addict, Hubert Selby Jr’s surrealistic look, or William S. Burroughs’ hard reality. I didn’t recognize the writers, with the exception of No Wave founder Lydia Lunch of the New York underground, so I wasn’t sure what to expect. The Heroin Chronicles gives stories from different sides and experiences. The book opens with a story of rehab and love gone wrong. Stories involve a woman outsmarting everyone, a man whose addiction talks to him much in the same way a little devil whispers into a cartoon characters ear, and a unique way to get your fix for free. Lydia Lunch explains why you should never answer the door at five forty-five on a Sunday morning. 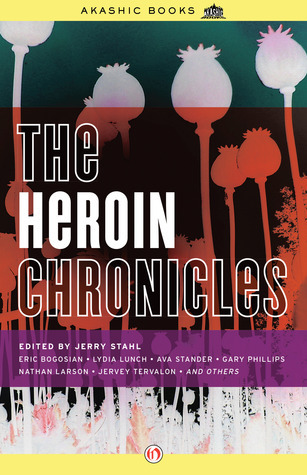 The Heroin Chronicles cover a wide variety of experiences all concerning heroin in some way. The book is not necessarily dark and dreary nor is it by any means a glorification of drug use. It too is not a “Scared Straight” book either, but a literary look into a subject and substance that is considered taboo in society. Some of the stories seemed light, others had the feel of an action-drama, and one took place sometime in the future. It is a unique look at people’s lives written by people who are or were there before. I enjoyed this collection of short stories which is out of the ordinary for me. Rarely do short stories seem so satisfying to me. For me, at my age, these stories reminded of what that dark ledge to oblivion was supposed to be. How these stories hold up with the younger generation and much stronger drugs, I am not sure, but the stories are well worth reading if not for the subject matter, for the literary value, Highly recommended. 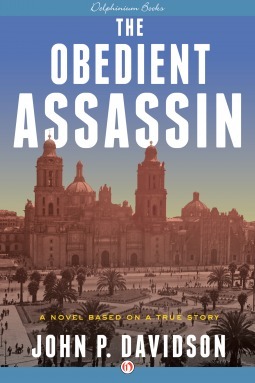 The Obedient Assassin by John P. Davidson is a fictionalized account the assassination of Leon Trotsky. Davidson is from the town of Fredericksburg, Texas. He was educated at the University of Texas earning a bachelors and a masters degree there with a break between the two in the Peace Corps. He has worked for several magazines as a senior editor and as a freelance writer. His first book was The Long Road (Doubleday, 1980). I usually stay away from fictionalized histories because I usually become distracted by the details and historical inaccuracies. Trotsky’s split from the Soviet Union was something I never really studied. My interest in Russian history ended with the fall of Nicholas II, and I never spent much time studying the Spanish Civil War either. I figured this might be a good book to read for the story. It starts with the Spanish Civil War and Ramon Mercader a solider fighting with the Republican forces. Essentially it was a war by proxy: The Nationalists were supported by Nazi Germany and the Republican forces by the Soviet Union. Many call the war Germany’s dry run for the invasion of Europe as the Nationalists perfected the blitzkrieg style of warfare. The Republicans are losing. One major problem the Republican forces were facing was divided leadership. Political struggle in the Soviet Union pitted the founder and leader of the Red Army, Trotsky, against Stalin. Trotsky was exiled to Mexico but still supported anti-Stalin Communism under the Fourth International. This split did not stand well with the Soviet Union. Plans were made to present a united front without Trotsky’s interference. Mercader was recruited by Soviet agents to assassinate Trosky and the real story begins. The Obedient Assassin is quality storytelling. It is so good that at time it almost feels like you are in a movie. The setting, characters, and details are of such quality that you feel you are in a 1950s noir film. There is that same dark feeling in the reading: Soviet agents, spying, betrayal, and of course the story behind the ice axe. The main characters all seem to be real people from history, for example, in Mexico, Frida Kahlo and Diego Rivera are introduced to the story. All in all, this is a great bit of fictionalized history. It shows the ruthlessness of Stalin’s attempt to eliminate all competition and the long process from mission planning to execution. There may be historical inaccuracies in the story but none seemed to jump out at me. A very enjoyable novel. 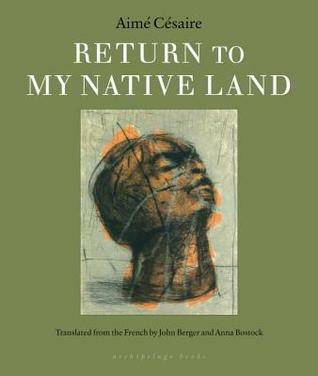 Return to my Native Land by Aime Cesaire a single poem by the African activist. Cesaire was born in the French Caribbean country of Martinique. He earned a scholarship to Lycee Louis-le-Grand, created the literary review L’Etudiant Noir. Cesaire returned to Martinique in 1939 and taught at Lycee Schoelcher. One of his students would play an important role in the French colony of Algeria, Frantz Fanon. Cesaire played a role in his country’s politics as a member of the Communist Party and later forming the Parti Progressiste Martinuqais. Cesaire started writing Return to my Native Land (Cahier d’un retour au pays natal) in 1936 while while still in France. As a single poem it is rather long, but as a book it is short. Cesaire captures his feelings and emotions on returning to his home country after studying in France. Martinique is small. It covers 436 square miles and supports a population well under half a million people. Its history is typical of a Caribbean colony. Its native people were beaten down and expelled from the island. They are replaced with African slaves to work the new sugar plantations. The island changes hands from Spain in 1493 to the French in 1635, to the British during the Seven Years War and the Napoleonic Wars, and returned back to the French. The island suffered as a single commodity, sugar, economy which eventually lead to the freeing of the slaves in 1848. In 1946 Martinique became an Overseas Department of France and finally simply a department in 1974. It still relies heavily on French aid. Once you get a feel for the setting, which is very foreign for many, Cesaire’s words take on new meanings and a cause. It is not difficult to see the similarity in Cesaire and Fanon. Their styles differ the sledgehammer of Fanon and the velvet hammer Cesaire, but both seek to find identity beyond colonialism. Cesaire write in a mix of prose and poetry all of it lyrical in rhythm and surreal. At times I felt as if I was on a raft in the ocean rocking on the rhythm and intensities of Cesaire’s voice. The poem has a great feel to it that helps convey the pointed political and cultural messages. The lyrical feel reminded of reading the leaves of grass. You can lose yourself simply in the rhythm on the words. Here though, the message is as important as the art. Cesaire is more than just a voice calling for justice or the voice of protest. He is a French and captures that particular style that makes French poetry unique. His literary style is classified as negritude a rejection of colonial racism and a term developed by Cesaire. He purposely chose to use the root Negre, the French equivalent to the American word “n*gger.” He took it as a proud title. Sarte said negritude is the Hegelian dialectic to racism. This is an interesting and unique look into colonial life and racism in a country other than America. Ceasaire writing is impressive. Berger and Bostock’s translation seems to be spot on. Steerforth Press has done a great service re-releasing this translation. The only thing that would have made it better would be a more detailed introduction for those without the historical background. 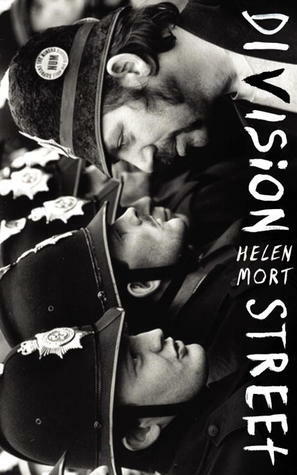 Division Street by Helen Mort is an incredible selection of poetry. The twenty-eight year old Mort is a five time winner of the Foyle Young Poets of the Year Award, poet-in-residence at the Wordsworth Trust, winner of the Eric Gregory Award in 2007, Manchester Young Writer Prize in 2008, Derbyshire Poet Laureate, and a PhD student at Sheffield University. She is short listed for the T.S. Eliot Prize and the Costa Poetry Award. She has earned a quite an impressive resume for someone who has not reached the age of thirty. When I talk to other book people, one topic that comes up is who will be this century’s great writers? Who will be remembered as part of the twenty-first Century “Bloomsbury Group”? Who will define these early years for the rest of the century and beyond. There are plenty of writers and plenty of very talented writers. I have been lucky enough read and review some of their work. The internet and independent publishing has opened the world to many writers, more than any time in history, and yet I still wonder who will be remembered as the voice of these times. I am not sure who all the great names will be, but Helen Mort will be one of them. I don’t think I have gotten totally caught up in a selection of poetry like Division Street since I read Leaves of Grass. The writing pulls you in completely and totally. You do not want to put the book down, and the hours will pass quickly and when you finally put the book down, you’ll need a few minutes, or longer, to come back down to your reality. These are poems in which you can truly lose yourself. The gritty urban environment is the state of nature for Mort’s work. There is not a beautiful pastoral setting. It was a brutal time when the coal miners went on a year long strike threatening to bring down the Thatcher government like they had the Heath government a decade before. There was violence and chaos and the entire British economy suffered. Thatcher won, but to this day that wound has not healed. This is a collection of man against government, the twenty-first century version of man against nature. “Scab” manages to perfectly combine the violence of the strike with “We Three Kings” in a biblical saga of the strike. “Thinspiration Shots” take on the pro-anorexia web sites that promote anorexia as a lifestyle. There is also a gentler side to her work also “Deer” and “Night” reflect these feelings. “The Dogs” are about her own two canines. “End” is a cleverly written poem with a play on a “little death”. If you are going to read only one collection of poetry, read this one. It will hook you on poetry. For those who lament the direction contemporary writing is heading, read Division Street. It will renew your faith in contemporary writing. This was 197th book I reviewed this year and probably the one that moved the deepest and the most. I sat for nearly half an hour after reading Division Street, just thinking “Wow!” Once I came down, I went and ordered Mort’s other collection Pint for the Ghosts. Yes, her writing is that good. This was the book that knocked me off my usual level headed, stoic mindset and moved me into an impassioned review. A fellow book reviewer has been lamenting about missing the good old days of reading just for fun. Most of my reading is non-fiction and reading for fun is not much different than reading and reviewing. I do all the same things read for detail, take notes, evaluate the thesis, and so on. It’s my guess that reading non-fiction for fun is probably not most peoples idea of fun. It made me think of the last time I read something fun. Recently, Mark King sent me a copy of his book Frenzy to review. Once it arrived, I set it on my desk and mentally bumped it up in my queue since it was a hardcover sent all the way from England. Yesterday, knowing that I was going to spend three hours on a train, I removed the dust jacket, put the book in my bag, caught the train. There was some valuable introductory information on that dust jacket I left at home. I started the book on the train and began to wonder: What kind of world is this taking place on?…Overseers? I began thinking a futuristic feudal system, prison colony, maybe aliens like the television series “V”. As I read more information came out. It is earth. But something happened that changed the entire planet. King puts together a great story, never leaking too much information to the reader too quickly. Several thoughts came as I read farther, maybe Logan’s Run. No, it wasn’t quite that either. Daniel is an apprentice woodcutter and works under his father’s supervision. They live in a mud and thatched hut and are entrusted with a metal ax. The culture and society seems to be early Middle Ages with two key differences. The people are completely illiterate and quality metal tools and weapons are scarce. No one remembers society before the Overseers came. That is mostly because after reaching the age of forty people are removed from their village and sent to a retirement community as a reward for their work and tithing to the overseers. People seem relatively happy in their station and all look forward to their retirement award. Life is primitive, but pretty good. However, like any society where things run smoothly and there is a powerful ruling group, there is a darker side. Daniel accidentally discovers that darker side and goes on the run to avoid summary execution and to protect his family. On the run, he meets the young hunter Gwendoline (don’t call her Gwen) and Mary, who is past her fortieth birthday and hiding to avoid summary execution. Mary remembers life before the Overseers and slowly she begins to tell Daniel what happened to earth. Now the three of them must leave and try to find the item that may allow them to resist the Overseers who are hunting them down and maybe free mankind from their tyranny. Needless to say, three hours on a train and I completed the book. It took me a while, but I know what the book reminded me of. Years ago, I read books like Riftwar Saga and other fantasy adventures where people were put into situations that they did not expect and were called upon or pushed into by fate. Frenzy has that same feel. The adventure and the quest come together for three unlikely people who with their different abilities form a capable team. This book, however, has no magic or magical beings. It is science fiction but told in a manner of a fantasy story, but I could almost see Daniel as the fighter, Gwendoline as the their or ranger, and Mary as mage/sage. I can say this book took me back to the days when I read just for fun. King creates a story that is fun and easy to fall into. Even without reading the summary on the jacket, the story quickly fell into place. It is fast moving and a fast page turner. I managed to read this book in two sittings, but wished I could have read it all in one. It’s a book you do not want to put down. I recommend to any who likes science fiction and particularly to those who like fantasy novels. Frenzy takes the best from both genres and gives the reader a nice escape. 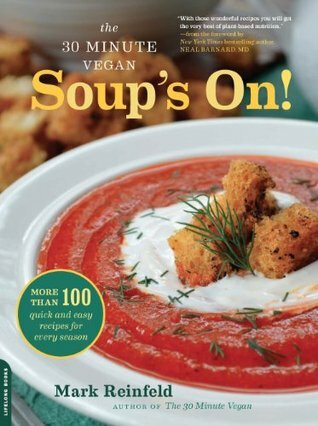 The 30-Minute Vegan: Soup’s On by Mark Reinfeld is a guide that veganizes all your favorite soups. Reinfeld received his training from his grandfather a renowned chef and ice carver. He holds a Master’s Degree in Holistic Nutrition. Reinfled has spent his career associated various vegan groups. I have been a strict vegetarian for the last seven or eight years and the only area of cooking I haven’t really mastered is soups. Aside from basic vegetable stock, lentil soup, and chili, soups are not a big part of my home cooking. I have thought about making French Onion Soup and really wished I knew how to make something close to Amy’s Not Chicken Soup. I think this book may be just what I need. The introduction covers basic ingredients, food preparation, and the tools you will need. The ingredients are listed and defined. Some ingredients are not well known by all such as Kombu or tamarind paste, and others are well known by most vegetarians like quinoa and nutritional yeast. The preparation section and tools are pretty basic but cover everything you will need to know. There are options to make some of the recipes raw or gluten free. Chef’s Tips and Tricks provide useful information and a clock symbol is shown for recipes taking longer than thirty minutes. From the beginning the recipes are great. The third recipe is for roasted vegetable soup, much like a basic vegetable broth, but with far more taste. Soups go from the simple broth to a fairly easy, but extravagant, Truffled Wild Mushroom Consomme with Grilled Baby Asparagus. The tips and tricks here let the reader know what real truffle oil is and what is its counterpart, a chemically treated oil made to smell like truffles. From Thai Coconut with Lemon Grass, to African Peanut Soup, to Jamaican Jerked Soup, Irish Cabbage and Potato Stew, to Portuguese Kale and Potato Soup Soup’s On recipes cover the world. I was surprised to find one of my favorite soups from before I went vegetarian: Italian Wedding Stew. That soup was one of the few things I missed from my meat eating days. I even found a recipe from my young years in Cleveland that I am going to try: Polish Vegan Sausage and Sauerkraut Stew. There is a great range and creativity in the soup recipes. Along with the traditional soups are blender soups, and raw and dessert soups. The last chapter covers garnishes and sides like Red Oil and Basil Oil. Veganized cornbread, feta, garlic spreads, and mayonnaise recipes are also given. Soup’s On gives the reader an extensive collection of soup recipes. Most are easy and the ingredients are easy to find. Some ingredients are a bit more difficult to find but available to most. Although I usually do not review cookbooks and rely on the internet and friends for recipes, this book is well worth owning. It is an all in one resource for soup which I will be using all winter.